Princess Sumaya University for Technology has signed a Memorandum of Understanding with Al Aman Fund for the Future of Orphans. The University will contribute part of the cost of scholarships to orphaned students to enable them to complete their academic careers at the University. Her Majesty Queen Rania on Monday October 22, 2018 met with new recipients of the Al Aman Fund for the Future of Orphans’ educational scholarships programme during an orientation session held at the Bisharat Golf Club in Amman, according to a statement by Her Majesty’s office. Al Aman Fund for the Future of Orphans hosted an Iftar event for its beneficiaries on Monday, celebrating its efforts to empower Jordan’s orphans through education. An initiative of the Queen Rania Foundation for Education and Development, Al-Aman Fund equips orphans, who have reached legal adulthood, with education, training, and necessary skills to become self-reliant and productive members of society. Al-Aman Fund for the Future of Orphans has launched its annual Ramadan campaign, calling on the Jordanian public to contribute toward the higher education of orphans in Jordan throughout the holy month. 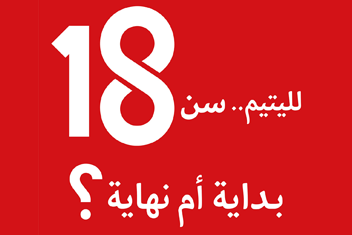 The campaign titled “Through Education, An Orphan’s Future Begins at 18,”encourages donations to support the education of orphans after they graduate from government-run orphanageswhen they turn 18. In light of the resounding success of the personal charity initiative of Mr.Amer Al Khayyat, that granted students from Al Aman Fund for the Future of Orphans access to 11 undergraduate scholarships and 9 specialized vocational training opportunities, Mr. Al Khayyat reassured his commitment to the initiative by granting the necessary support for the second year in a row, to ensure the continuation of the education of students benefiting from the initiative. As part of its strategic plan to encourage all segments of the community to play an active role towards orphans, Al-Aman Fund for the Future of Orphans –an initiative by Queen Rania Foundation, launched its end of year campaign for 2017 “End Your Year with Giving”. The campaign offerscommunity members the chance to support and give donationsto an important and less fortunate segment of our society, its orphans. 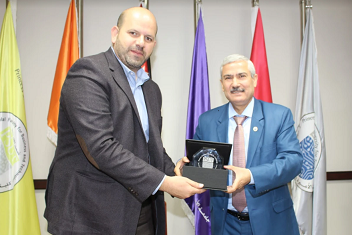 In efforts to provide orphaned youth with a better future, Amer Al Khayyat, Managing Director at Al Khayyat Motors in Jordan, launched a personal charity initiative that aims at granting students from Al Aman Fund for the Future of Orphans access to 11 undergraduate scholarships and nine specialized vocational training opportunities. 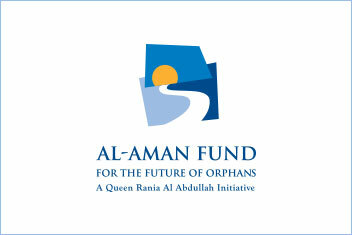 Al-Aman Fund for the Future of Orphans, an independent NGO founded by Her Majesty Queen Rania Al-Abdullah, launches its 11th annual Ramadan campaign “Keeping Their Futures Bright through Education.”The campaign’s main objective is to encourage donations in support of the education of orphans upon their graduation from orphan care centers. In celebration of the holy month of Ramadan,Markazia–the sole distributor of Toyota, Lexus and Hino trucks in Jordan – has announced the launch of an exclusive campaign for the duration of Ramadan, under which buyers can purchase a Lexus vehicle in three installments over three years, at an interest rate of 0%. 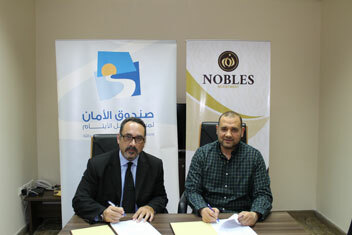 Al-Aman Fund for the Future of Orphans,which was initiated by Her Majesty Queen Rania Al Abdullah, has received 54 scholarships from Nobles Investment. Scholarships were granted in accordance to the campaign launched by Al-Aman Fund at the beginning of the Holy month of Ramadan in support of its objectives. 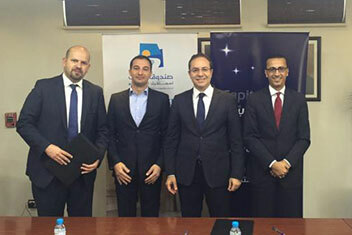 The partnership agreementwas celebrated at the company’s headquarters and signed by Mr. Omar Ayesh, Chairman at Nobles Investment, and Mr. Laith Al Qasim, Chairman of the Board of Directors at Al-Aman Fund. Al-Aman Fund for the Future of Orphans, an independent NGO founded by Her Majesty Queen Rania Al-Abdullah, launches a new campaign called (“Your ZAKAT will go towards orphans’ education”) during the holy month of Ramadan. 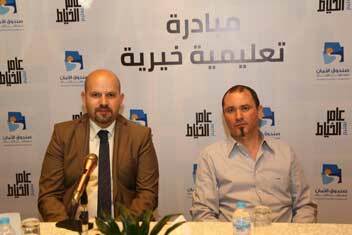 (Amman, June 2015) Al-Aman Fund for the Future of Orphans, an independent NGO founded by Her Majesty Queen Rania Al-Abdullah, launches a campaign during the holy month of Ramadan. 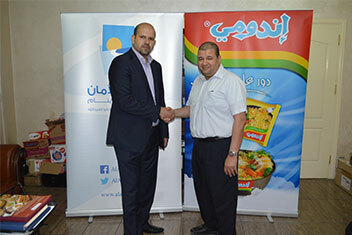 Capital Bank announced that it will sponsor the education of ten students benefitting from Al-Aman Fund for the Future of Orphans, an initiative that comes in response to the “10th anniversary campaign launched by Al-Aman Fund for the Future of Orphans with the objective of helping maturing orphans..